Islamabad: A non-bailable arrest warrant was issued against former Pakistan President Pervez Musharraf on Friday in a murder case. The court of additional sessions judge, Kamran Basharat Mufti, ordered the former military ruler to be arrested and presented in court on July 24 in connection with the murder of former Lal Masjid cleric Ghazi Abdul Rasheed, Geo News reported. Musharraf’s security bonds would be confiscated by the court if he fails to appear. The judge added that Musharraf’s persistent requests to be excused from personal appearance have also been turned down. In 2013, police had registered a case against Musharraf over the alleged murder of cleric Rasheed and his wife during the Lal Masjid military operation. 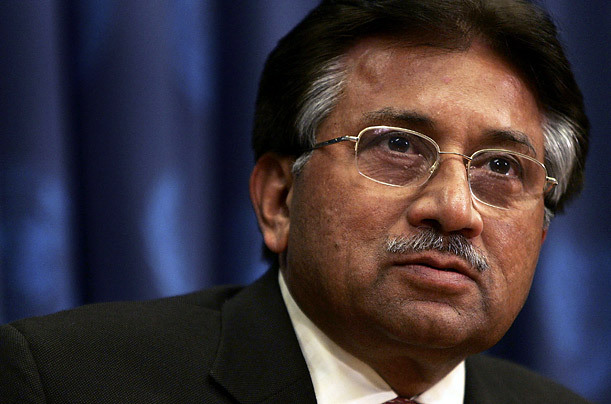 Musharraf faces a string of court cases dating to his 1999-2008 rule, including the death of Ghazi, one of more than 100 people killed after Pakistani troops stormed the Red Mosque in Islamabad on July 10, 2007. He faces treason charges over his imposition of emergency rule in 2007 – a historic first in a country ruled for half its existence by the military. He further faces murder accusations over the 2006 death of Baloch leader Nawab Akbar Bugti and the 2007 assassination of former Prime Minister Benazir Bhutto.